Book Drunk: Reviewed: The Kiss Before Midnight by Sophie Pembroke. 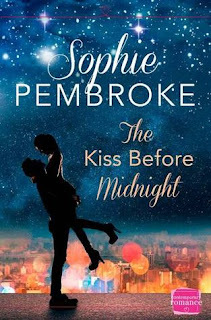 Reviewed: The Kiss Before Midnight by Sophie Pembroke. The Kiss Before Midnight was published by Harper Impulse on November 13, 2014. Thanks to the publisher for auto-approving me for a copy of this title on Netgalley. Molly thinks one time with Jake will get him out of her system and they’d be able to go back to normal but whaaat? Surely one kiss wouldn’t be enough – Jake was super swoonworthy. There was a lot of chemistry between Molly and Jake. I loved all the little fleeting looks, when their eyes met, how they were finding each other hard to resist even when they were surrounded by family. They were the kind of couple you just wanted to see together which of course works perfectly in getting you behind their stories and wishing for that festive happy ever after. We get the added luxury of seeing the story from both sides and that really helps build up the romance and the sexual tension and I really liked getting to know both characters, especially Jake who I felt was a little more vulnerable than what was perceived at first. Christmas at the Mackenzie’s has become a tradition for him and it’s a place where he fits in, even though he doesn’t feel as big a part of the family as he would like. Somehow, there’s always that bit of self-doubt in him that makes him feel like he’s a bit in the way and this year he feels especially uncomfortable because he can’t keep his eyes off of Molly. I loved the Mackenzie family – they felt really realistic and easy to relate to, especially with their Christmas quirks and traditions. Sophie brought out the festive side to this story so well – big family Christmases are the norm and this one showed that everybody can bond over a mince pie and a bit of merriment, can’t they? The Kiss Before Midnight was really uplifting, like all the good Christmas books should be. It’s a novella but not lacking in anything, the only issue being that I loved the characters and could have read lots more from them. I loved the flirting and the romance, how Molly was quite confident in herself and knew what she wanted instead of the opposite where normally it’s the guy who’s trying to win the girl over with all her doubts and insecurities. 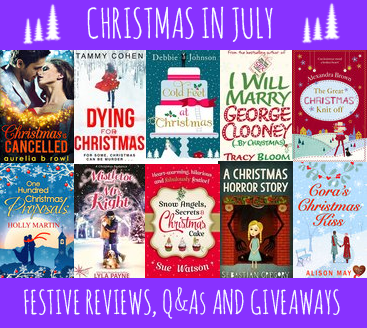 I also loved that every aspect to this book really honed in on the fact that it was Christmas so there was a real celebratory, cheerful mood as well as a heart-warming romance. The Kiss Before Midnight is a gorgeous, feel-good festive novella. Pretty cover, touching story and simply a great book to escape into during the festive season. Super-cute, flirty romance with gorgeous festivities and a story to love.